MEF seeks to help Chabad schools excel educationally and professionally. Our team of expert educational consultants guide us in implementing cutting edge pedagogical solutions in harmony with the religious values that Chabad schools are founded upon. A Distinguished Lecturer at Baruch College School of Public Affairs and nationally recognized “teacher of teachers,” Ms. Gewirtzman has consulted for the NYC Board of Education, the Rochester City School System, the NYC Leadership Academy, and MEF’s leadership training initiatives. 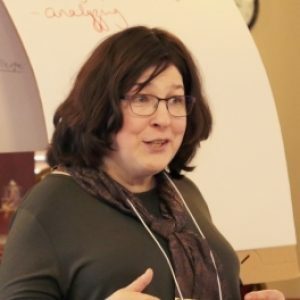 Educational director of Chabad of Ithaca and former dean of curriculum at the Rohr Jewish Learning Institute (JLI), Dr. Silberstein has over 25 years’ experience in education and curriculum development, and a PhD in experimental psychology from Cornell University. With a long career history in school governance and leadership, Dr. Spiegel has been in the forefront of the growth of Jewish day schools. Today, he brings that expertise to MEF as a primary consultant in the areas of school governance and organizational structure. MEF’s Executive Committee is comprised of trusted advisors and national leaders who share our vision of vibrant Jewish education. Galina Datskovsy, PhD, CRM is the CEO of Vaporstream and is an internationally known expert in the fields of compliance, information governance and associated technologies. She has also served on the board of multiple startups, assisting with strategy. Nathaniel Deutsch is a professor of history at the University of California in Santa Cruz, where he holds the Neufeld-Levin Endowed Chair of Holocaust Studies and serves as the Co-Director of the Center for Jewish Studies and the Director of the Institute for Humanities Research. Dr. Charlotte K. Frank is the Senior Vice President of Research and Development in McGraw-Hill’s Education department, guiding educational initiatives in hers and other departments. Rabbi Yosef Simpson is the principal of the United Lubavitch Yeshiva in Crown Heights, Brooklyn, and acts as vice chairman of the Association of Yeshiva Principals.